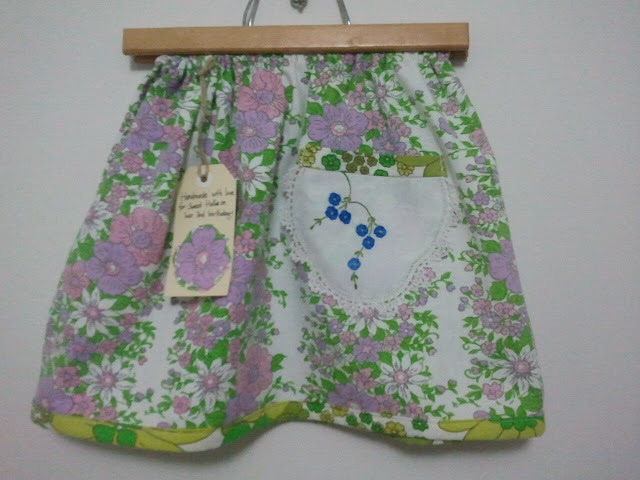 A little floral skirt for a sweet little friend of Lulu's. Some pretty gift tags...so happy to be cutting into a badly damaged tablecloth from the oppy. Upcycled envelopes. Love making these. 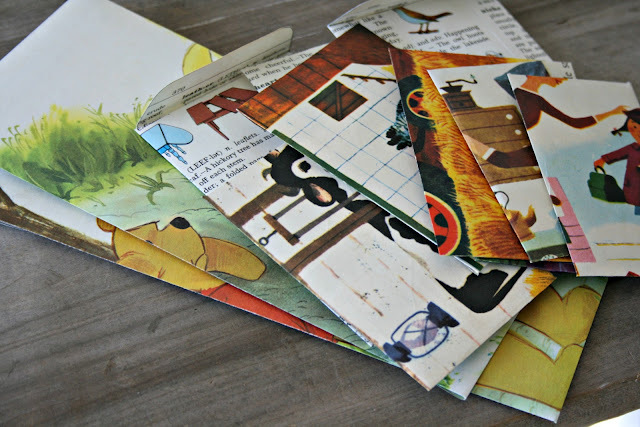 I think there might be some therapy in all the cutting, folding and sticking. Banana bread, baked weekly at our place. Lasts no more than a couple of days. 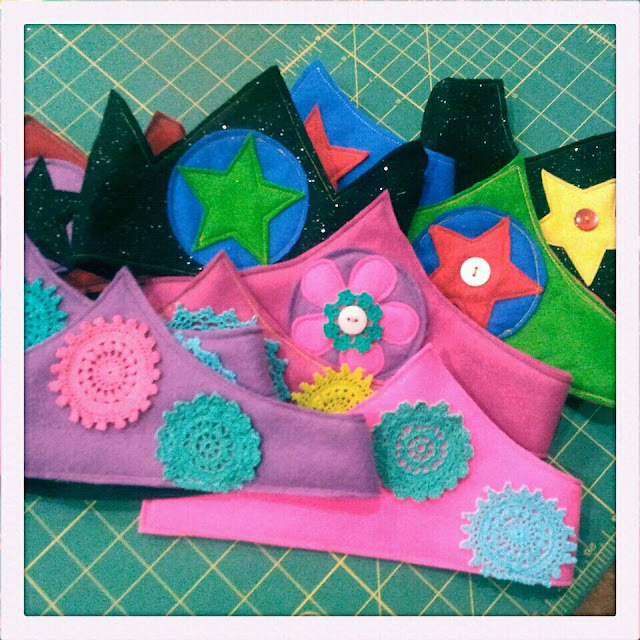 Talin's crowns. With all my heart I believe every thought, wish, prayer, facebook message, dollar, crown counts. It does! It all counts and whatever you can do to show some support to little Talin and his family counts. 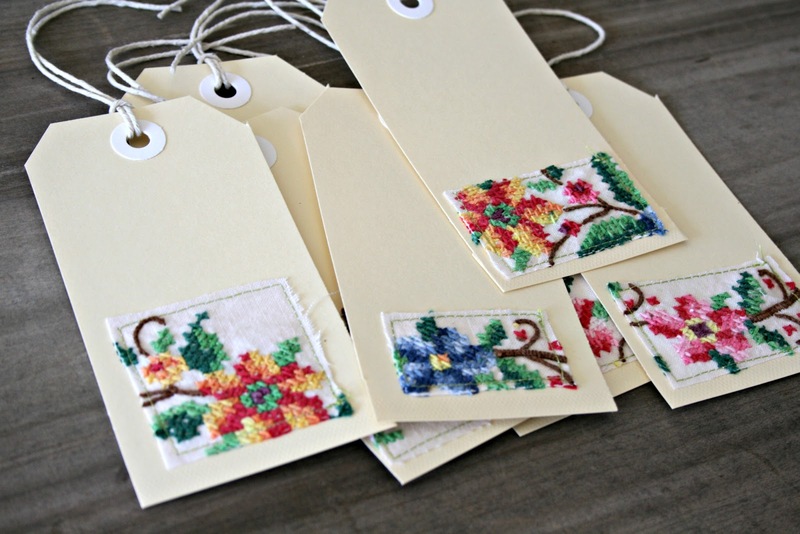 The cross stitch tablecloth tags are perfect. What a great way to use damaged linens. And banana bread on a Johnson plate, so lovely. Lea I always love your makings! 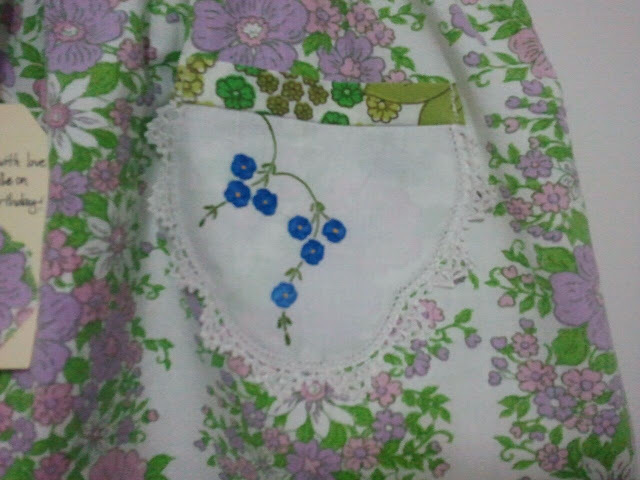 I love the way you upcycle and breathe life back into all things vintage. Thanks so much for sharing Talins link with me....it so touched me....and I feel so lucky to have been able to help out... even in a small way.... because it does count! How I love the tags!!!!! So beautiful. The skirt is adorable too. I bet she loved it. Thanks for sharing the crowns link with me. I hope they reach 100. Thank you so much! The crowns were stunning!